Blues rock vocalist Beverly McClellan from The Voice USA releases her new album ‘Fear Nothing’ on Dec 1st and we have copies to give away for three lucky winners. All you have to do to win the album is either follow @flaneurzine on Twitter and tweet us using the hashtag #McClellan or email comps@flaneur.me.uk with McClellan in the title. Three lucky winners will get a copy of the new album. Deadline for tweets and emails 7th Dec 2012 12.00 midday GMT. 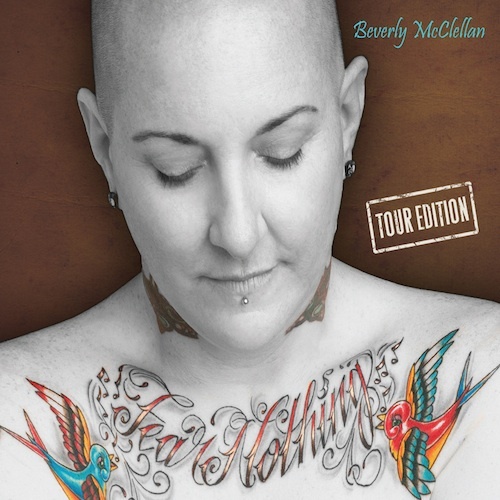 Fear Nothing is an album which presents Beverly as a true and original artist — a songwriter, multi-instrumentalist and dynamic presence with the ability, authority and desire to carve her own place in music history.